Between Spy Kids 3-D: Game Over and Avatar, it was only a matter of time until Robert Rodriguez and James Cameron collaborated on a project together. Both men not only constantly push the limits of what film can accomplish visually, but also helped spark a newfound interest in 3D for a new generation. Granted, most live-action films nowadays are merely shot in 2D and then converted into 3D. Like the best modern examples of 3D film, though, Alita: Battle Angel was brought to the silver screen through the lens of a Fusion Camera System, helping to immerse the audience in the vibrant action. 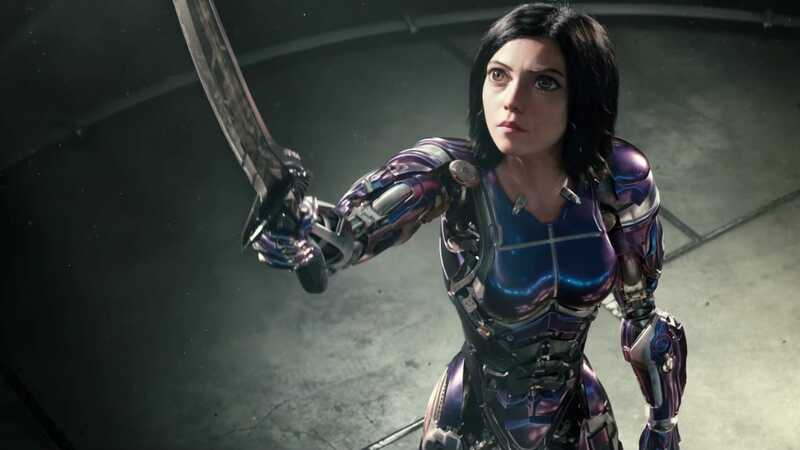 With Rodriguez directing and Cameron acting as a producer, Alita is the technological marvel one would expect, although the story can admittedly come off as artificial. Based on Yukito Kishiro’s celebrated manga, the film stars Rosa Salazar as the titular cyborg, who is discovered in a junk yard by the fatherly Dr. Ido (Christoph Waltz). The good doctor is able to give her a new body, but Alita has no recollection of her former life outside of some scattered memories. Alita quickly takes a liking to a human boy named Hugo (Keean Johnson) who gets her hooked on the game Motorball, which is like roller derby meets a gladiator match. Although she’s literally wide-eyed, Alita isn’t as innocent as she appears with the reflexes and strength to hold her own against a behemoth cyborg called Grewishka (Jackie Earle Haley). This catches the attention of Ido’s pokerfaced ex-girlfriend Chiren (Jennifer Connelly) and her criminal partner Vector (Mahershala Ali). Looking as if he raided Neo’s wardrobe, Vector has friends in high places who might hold the key to Alita’s former life. Realized through motion capture technology, Alita looks like an anime heroine crossed with a character out of Robert Zemeckis’ The Polar Express. You can also definitely see a bit of Margaret Keane’s big-eyed paintings in her. While Alita’s otherworldly design may be an acquired taste for some, it’s Salazar emotive performance that breathes life into her. Even if Alita doesn’t always look real, she always feels real. Salazar is full of pluck and charisma, creating an all-around badass protagonist we want to follow. The downside is that we can rarely get a grasp on where Alita is leading us. Like Avatar, the story is among the weaker elements of this sci-fi extravaganza, which isn’t entirely surprising since Cameron worked on the screenplays for both films. With Avatar, though, the audience at least understood every motivation. Here, Alita’s journey of self-discovery can come off as unfocused as she jumps around from being a bounty hunter, to being a Motorball player, to vowing revenge against an all-seeing villain who’s never exactly given a proper introduction. There isn’t even really much of a revelation concerning her mysterious past. It’s clear that the filmmakers are leaving a few plot threads open-ended for a potential sequel, but as a standalone movie Alita could’ve been better fleshed-out. For all the issues the movie has on a narrative level, Alita is an endearing character who deserves further exploration. Stylistically speaking, this is perhaps the closest any live-action adaptation of a manga or anime has come to replicating the look of its source material. The action is vivid and booming with kinetic energy, particularly a bar brawl and a showdown at a Motorball stadium. The passion that went into this film is never doubted, making it difficult not admire artistically. What we’re left with is a potential cult classic that ultimately works, despite being held together by a few clunky parts. This entry was posted in Reviews and tagged Action, Romance, Sci-Fi, Thriller on February 8, 2019 by Nick Spake.